That word may conjure up some emotion for us today. Some of us, when we think of being chosen, we think of being first, chosen first in sports or competitions. Or maybe being chosen for winning an award, or some great honor! Others may not think as fondly, as we may remember being the last one chosen or perhaps not chosen at all. Or perhaps, being chosen for getting in trouble for something. The word chosen can bring a lot of weight behind it. Peter says today that you are chosen. We are a royal priesthood, a holy nation. You are a person of God’s on possession! How about that! That’s better than being picked first in basketball! You are of amazing great worth today! 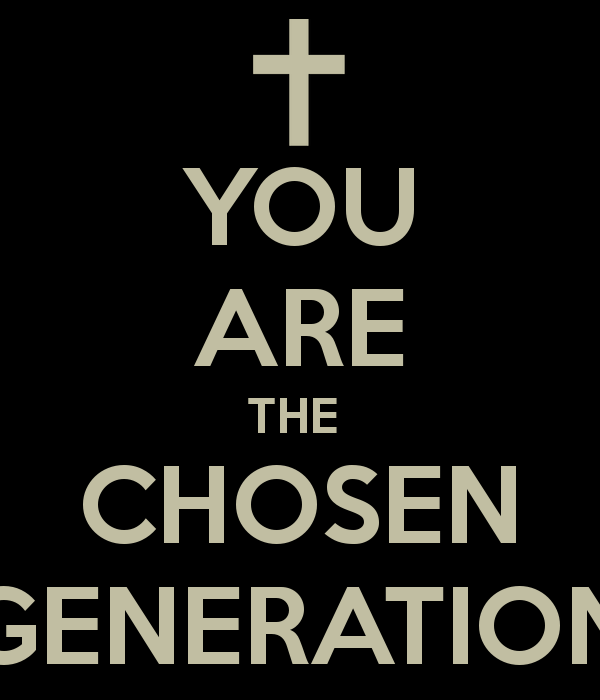 You are chosen. You are of infinite worth! you are priceless. You are beyond measure. Yes! You! You have more worth today than you can even fathom. This worth, this being “chosen” doesn’t come from ourselves or from anything that we have earned, but it comes from fact that God has chosen us for this purpose. To proclaim HIS worth. To tell of the one that has called us from darkness to light. To tell of His glory and His salvation. To show mercy, because we have been shown mercy. We have been chosen today to tell others of the grace of God. We have been chose today to live our that grace of God for others. We don’t live for ourselves. As tempting as it can be, we don’t live for ourselves. We live to live in our lives in God. To live for Him. That’s where life is found. Today, He chose you. Today, may we choose Him. My we live in His mercy, grace, and love, and may we live our lives in a way that others desire to know this God. Today, you’ve been chosen. You have great worth. You are here for a purpose. Today, live in that grace that God has given you. Go out and live our loud for Him today.